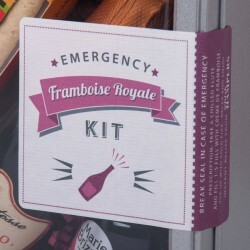 The sparkling Framboise Royale Cocktail is now available in 'Emergency Kit' form just for a wonderful Mum. Just imagine her enjoyment when, just when she needs some 'me-time', the lucky Mum breaks the seal and indulges in a Sparkling Framboise Royale Cocktail. 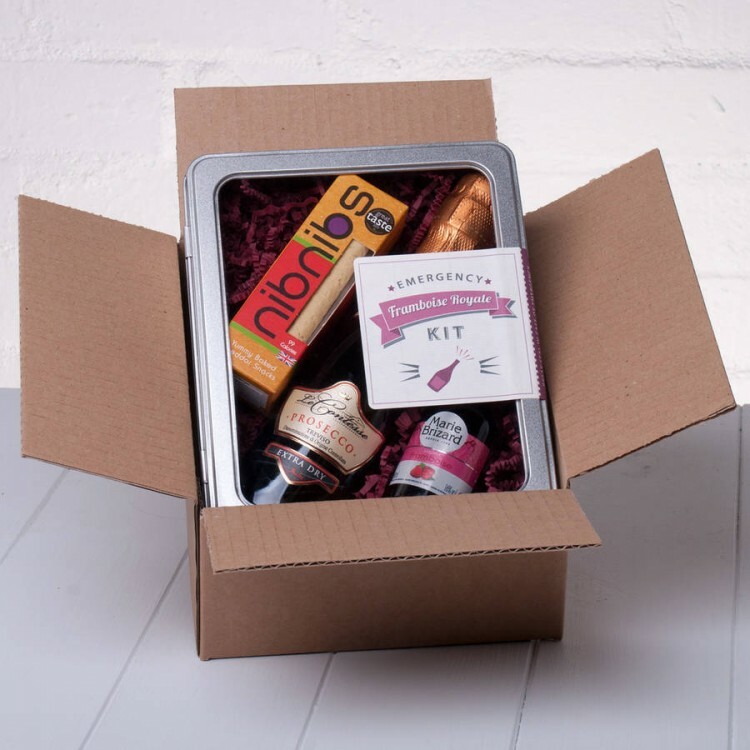 Our Instant Kir Royale Kit makes a special gift for so many occasions: from Birthdays or Mother's Day to Christmas, or just a great way to let a special Mum know you're thinking about her. 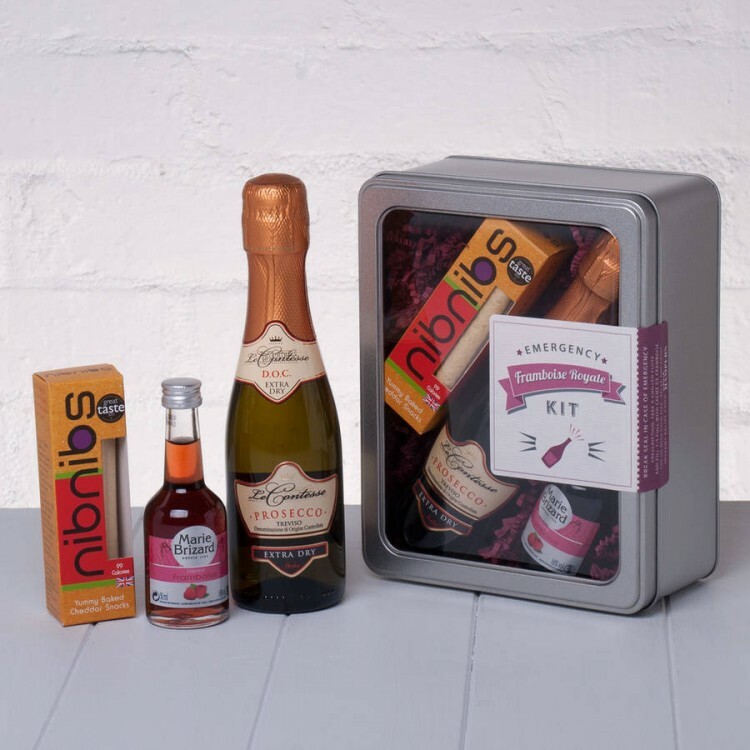 When Cocktail Hour approaches, all the lucky Mum needs to do is break the seal and a luxurious Framboise Royale Cocktail and Nibbles are on hand. We've partnered classic French Framboise from Dijon with Le Contesse Prosecco to craft the perfect Framboise Royale Cocktail and even included some tasty Cheese Straws as a savoury nibble on the side. 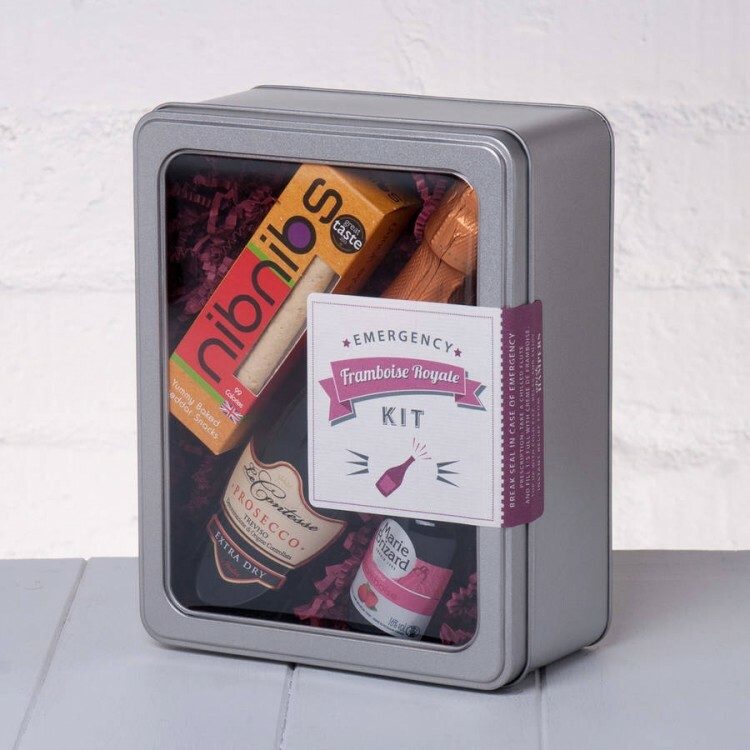 Beautifully presented in a stylish window tin lined with vibrant purple shred and finished with a 'Break Seal in Case of Emergency' label, it’s a ‘ready to give’ gift - you can even add a personal message and specify delivery direct to the lucky Mum. Cheers!